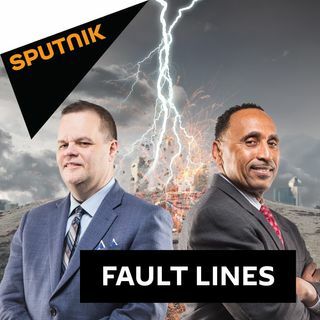 On this episode of Fault Lines, hosts Lee Stranahan and Garland Nixon discuss last night's exclusive televised interview between Judge Kavanugh and Martha MacCallum of Fox News. What did Judge Kavanaugh reveal in this interview, and what are the expectations for Thursday's highly anticipated Senate Judiciary Committee hearing? The must-see film, The Magnitsky Act – Behind the Scenes, is again available for viewing online, now at www.magnitskyact.com. The film's writer and director, Andrei Nekrasov, returns to Fault Lines to discuss the importance of his film and why it has come under relentless attack from shadowy hedge fund manager Bill Browder. Following the downing of a Russian plane last week, Russia has agreed to send S-300 missile defense systems to Syria. Kevork Almassian, the founder of Syriana Analysis, joins the show to discuss the the importance of this missile defense system and how it could change the calculus for different countries and organizations involved in Syria. For the final two segments of the show, Garland and Lee are joined in-studio by Daily Caller reporter Benny Johnson to discuss the Brett Kavanaugh situation as well as the likelihood that Deputy Attorney General Rod Rosenstein will remain in his current role. What has the Kavanaugh craziness revealed about "The Resistance" and is there any possibility that President Trump keeps Rosenstein around given his comments about secretly recording the President?